Three times farther than Pluto, V774104 may join a club of solar system objects whose orbits cannot yet be explained. Artist’s impression. Image credit: NASA/JPL-Caltech. 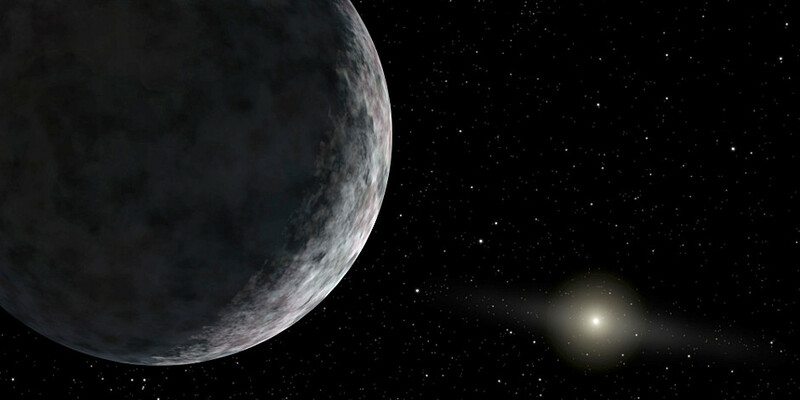 Astronomers have found a dwarf planet three times farther away from the Sun than Pluto, making it the most distant known object in the solar system. Designated V774104, the trans-Neptunian object is 500 to 1000 kilometres in diameter — half the size of Pluto — and currently lies 15.4 billion kilometres (9.6 billion miles) or 103 astronomical units (AU) from the Sun, but its exact orbit is yet to be determined. The discovery was announced by Scott Sheppard, an astronomer at the Carnegie Institution for Science in Washington, D.C. at the 47th Annual Meeting of the Division for Planetary Sciences of the American Astronomical Society this week. The team behind the find is led by Sheppard and Chad Trujillo, from the Gemini Observatory in Hawaii. Sheppard made his discovery with colleagues last month using Japan’s 8-metre Subaru Telescope in Hawaii. Unlike many searches for distant objects, which peer into the ecliptic, Sheppard is training Subaru on swaths of the sky an average of 15 degrees away from the solar system’s plane. Trans-Neptunian object V774104 was spotted last month by the 8-metre Subaru telescope in Hawaii. Image credit: Scott Sheppard, Chad Trujillo, and David Tholen. “It could end up joining an emerging class of extreme solar system objects whose strange orbits point to the hypothetical influence of rogue planets or nearby stars,” said a report in the journal Science. The discovery of V774104 is fuelling speculation that an as-yet-undiscovered large planet is hiding in the furthest reaches of the solar system. At the time of V774104’s discovery, only the Voyager probes, Pioneer 10 and some long-period comets are known to be farther from the Sun. 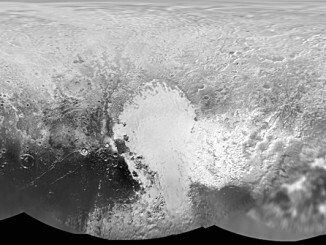 The science team of NASA’s New Horizons mission has produced an updated global map of dwarf planet Pluto that includes all resolved images of the surface acquired 7-14 July 2015, up to 400 metres/pixel resolution. Many additional images are expected in autumn 2015 and these will be used to complete the global map. 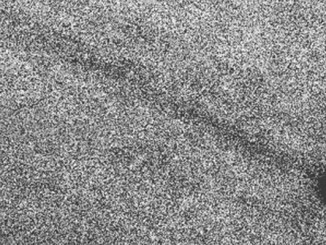 Scott Sheppard and Chadwick Trujillo of Carnegie’s Gemini Observatory present recent observations revealing that main-belt Hygeia-family asteroid 62412 (2000 SY178) has a tail.